Gigabyte is one of a handful of manufacturers that knows how to make quality products, and are able to quickly respond to issues. They are constantly watching what the enthusiast market is doing and respond with motherboards to match. The Aorus is where Gigabyte will be focusing their premium gaming product lines that includes a wide range of products. 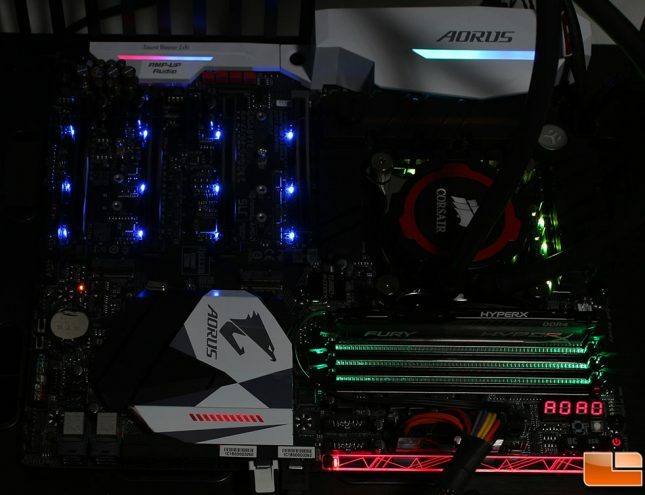 The Z270X Gaming-9 is their flagship motherboard designed for the extreme gamer and overclocker. It includes nearly every feature that the Z270 chipset offers, and extends those features with new advancements. For a motherboard with nearly every feature of the Z270 chipset, it comes with a high pricetag of $499.99. This motherboard won’t be for everybody, but it does a great job at showing what is possible. Either through the BIOS or EasyTune software, Overclocking is easy for the novice with a wide range of options for the expert. The Aorus Z270X Gaming-9 was able to be easily overclocked to 5.1GHz, but we encountered issues. We were able to achieve a stable 5.0GHz, and saw the appropriate performance increase. Our overclocking did not include doing any fine tuning to the various speeds, or power usage. The more time you spend on overclocking, the better your results will be. The custom EK Waterblock on the VRM and Mosfets will help with cooling those vital components getting a higher overclock if you use a custom liquid cooling loop. If we take a look at the performance of the Z270 and Intel i7-7700K combination, we saw a little performance increase across the various benchmark. Those that were specifically designed to test the processor we saw a larger increase when compared to the various games we tested. The Killer E2500 Gigabit Ethernet port provided a small surprise of an increase in read speeds. The same goes for the M.2 speed, we have averaged around 1300MB/s read speed for the entire Z170 motherboard line. The Aorus Z170X Gaming 9, allowed the Kingston HyperX Predator M.2 drive to go faster at 1440MB/s. All of the performance increases are nice for the new chipset. However, it comes at a cost, which is in thermals and power usage. Pulling around 20W more than a similar Z170 test sytems, and a surprising increase in temperatures could increase overall costs. One of the shining features of the Aorus Z270X Gaming-9 is the ability to control the LEDs by zones. There are a total of ten LED zones on the motherboard, plus the ability to connect two 5050 LED strips (which of course can be daisy chained). Starting in the lower right corner, we have the LED accent bar (Red), DDR4 memory (Green), VRM/Mosfets (Yellow), rear I/O cover shield (Teal and Blue), AMP-UP Audio cover (Red and Blue), PCIe Slots (Blue) and Z270 Southbridge (Red). The one that is not included in this picture is the rear I/O LEDs. For the two LED strip headers, I connected two different LED strips, BitFenix Alchemy 2.0 and a cheap TOPLED strip that I have behind my monitor for ambient lighting. Both strips were 5050 compatible, and worked right away. The BitFenix Alchemy 2.0 strip is 5050 SMD, which is what the Gaming-9 specifically calls for synched to the motherboard and matched the colors exactly. 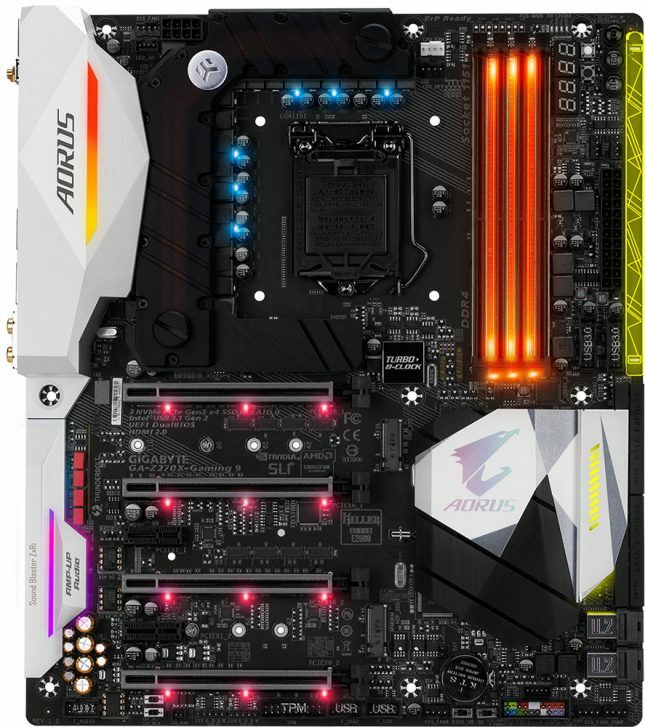 The TOPLED strip is cheaper and is 5050 compatible, but did not synch to the motherboard (that’s not a fault of Aorus though). 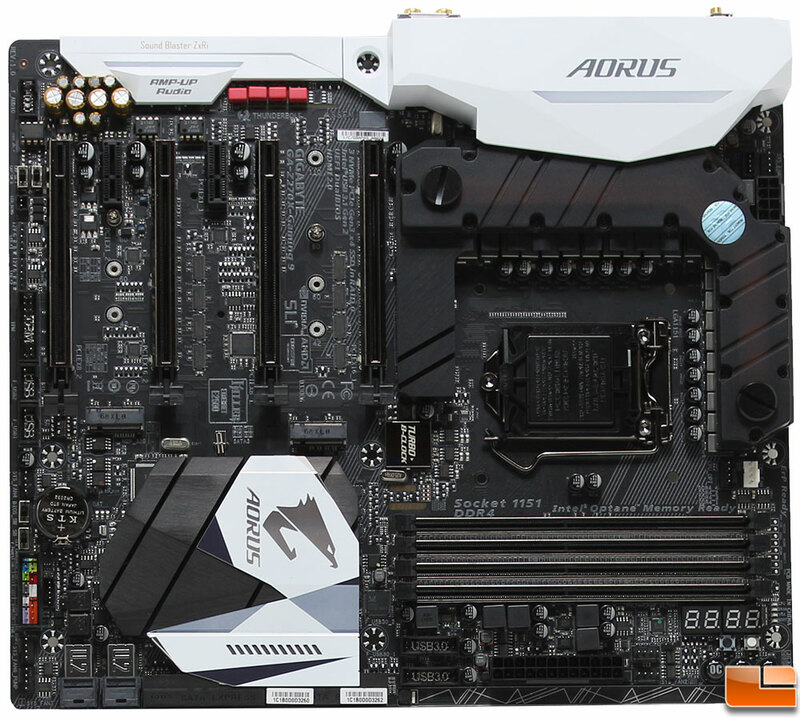 The Gigabyte Aorus Z270X Gaming-9 one of the most feature packed motherboard you will fine for the Z270 line. It includes support for nearly every modern storage device, NVIDIA 4-Way SLI, and CrossFireX. The Killer Gigabit Ethernet and Wireless options provide capabilities for every situation. 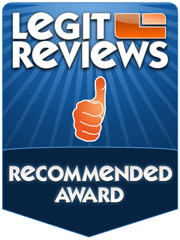 While they are designed to last for years, if you happen to have an issue they are backed by a 3 year warranty. Legit Bottom Line: If you are looking for the best Z270 motherboard, the Aorus Z270X Gaming-9 motherboard is definitely worth a close look. Overclocking options range from easy beginners to extreme users. The RGB ten zone LED lighting and multiple lighting options are a welcome update allowing you to make the motherboard uniquely yours.